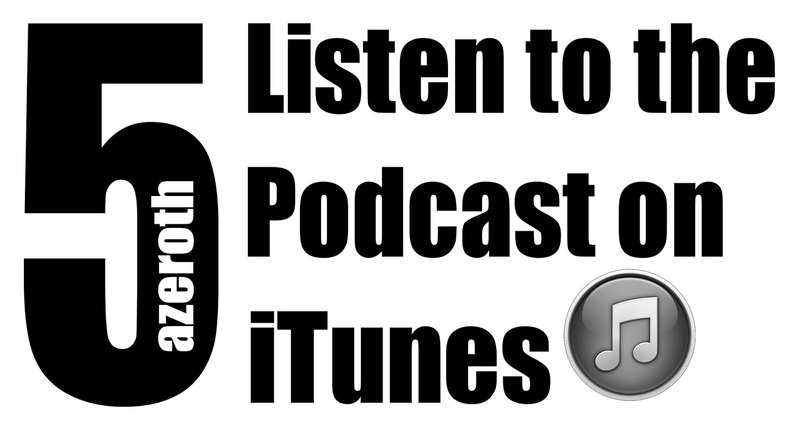 We are in the process of setting up this Podcast to be available via iTunes, when this is established we'll be sure to let you know. In the meantime, we hope you enjoy this inaugural episode. I really like the idea of a short 'news bulletin' style podcast, as it's a handy way to catch up on the week's news, sort of like http://evening-edition.com/ but for Azeroth. I also have mixed feelings about adding some background music or sounds – it sort of feels like there's something missing, but on the other hand a cheesy radio-DJ-style sound bed might sound awful. Hard to say really. Loved it. I did not expect the "Whee!" outburst, but it made me giggle. Love news that don't take themselves too seriously. Could use some background music maybe.